of prominent Armenian poet, social activist Vahan Teryan. "The Armenians of Saint Petersburg"
professor Kamsar Nersesovich Grigorian – Vahan Teryan's nepiew. acquainted with the centuries-old Armenian writing culture". 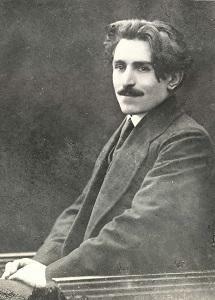 of the philologist Constantine Khurshudyan. a Library of national literatures of the name of A. S. Griboedov.